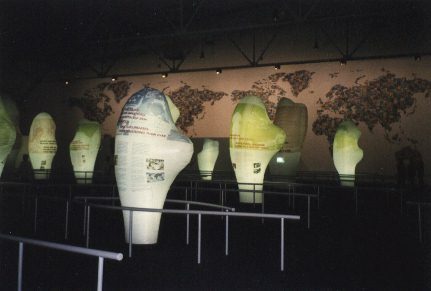 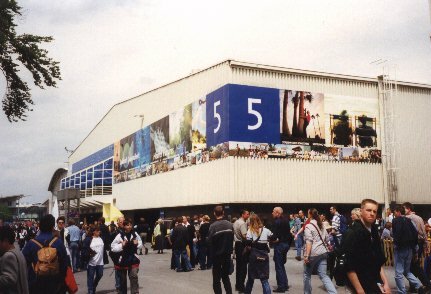 EXPO 2000 in Hanover: Themepark Pavilion No. 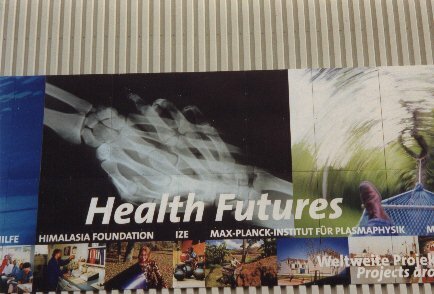 5 "Health Futures/Zukunft Gesundheit"
Entrance of the EXPO-Themepark Pavilion "Health Futures"
The Themepark "Health Futures" exhibits 30 Trees, each explaining about one world wide health project; one Tree demonstrates the "Traditional Herbal Medicine Programme" of HimalAsia in Upper Mustang, Nepal. 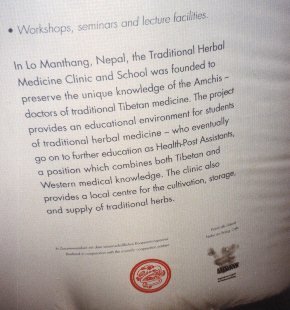 Part of the text- explanation of the "Traditional Herbal Medicine Clinic and School" in Upper Mustang at the EXPO in Hanover; This project of HimalAsia is exhibited with explaining photos in the Themepark "Health Futures". 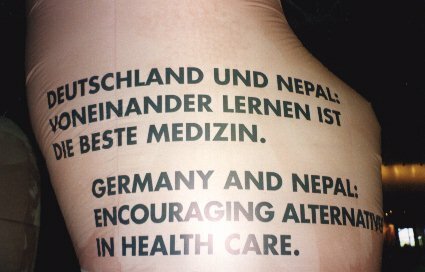 The aims of HimalAsia`s Traditional Herbal Project in Mustang and the intention of a similar Programme in Celle, Germany, "KeimCelle Zukunft" correspond to each other.